At work my day job is as an EMC test Engineer, on of the Tests we do as part of EMC compliance testing is a Radiated Emissions scan between 30 MHz and 1 GHz. There are two sets of emissions limits that are most commonly tested for (others are more specialist requirements), you can see these limits on the graphs below. The upper limit is class A and the lower limit is class B. 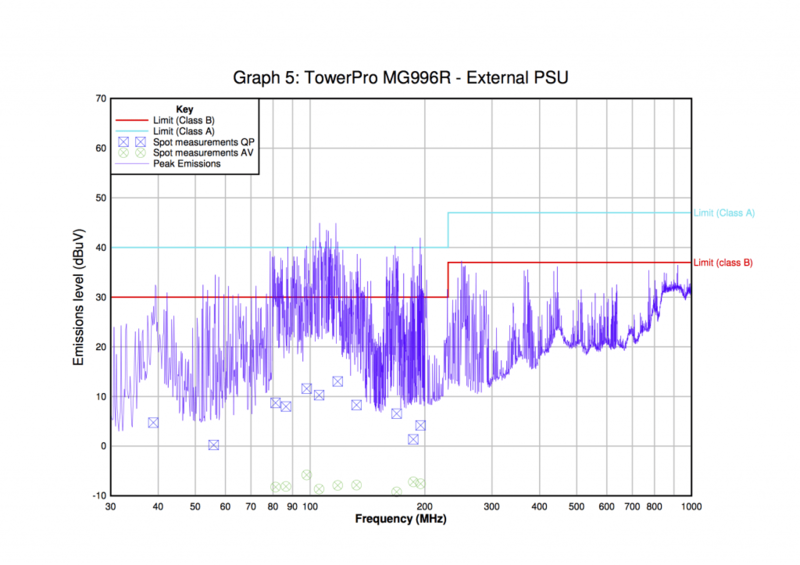 The two servos I am going to test quickly are the Tower Pro Micro Server 9G (Datasheet) and Tower Pro 996R (Datasheet), as these are what I have on my desk at the moment. The code tells the servo to move the horn by 1 degree and then wait 10ms at each point, fully sweeping back and forth 180 degrees. The Red wire is attached to the +5V rail, and the Brown wire the GND (ground) rail, the orange wire is attached to Pin 26 (identified as B6 on the Teensy). When the Equipment under test is placed in the chamber, and the emissions are recorded, we can plot a graph of amplitude against frequency. 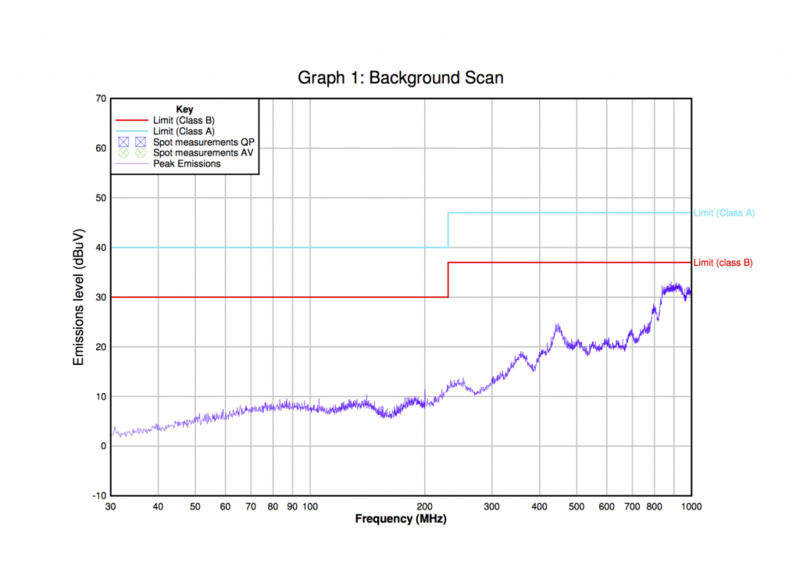 Graph 1 – Background Scan – This is the level of noise present normally. There is always some radio emissions present in this frequency: commercial radio, mobile phone handshaking, and wireless doorbells. All this allows us to do is know that at the time of taking the next set of measurements we are aware of what is caused by the unit under test. 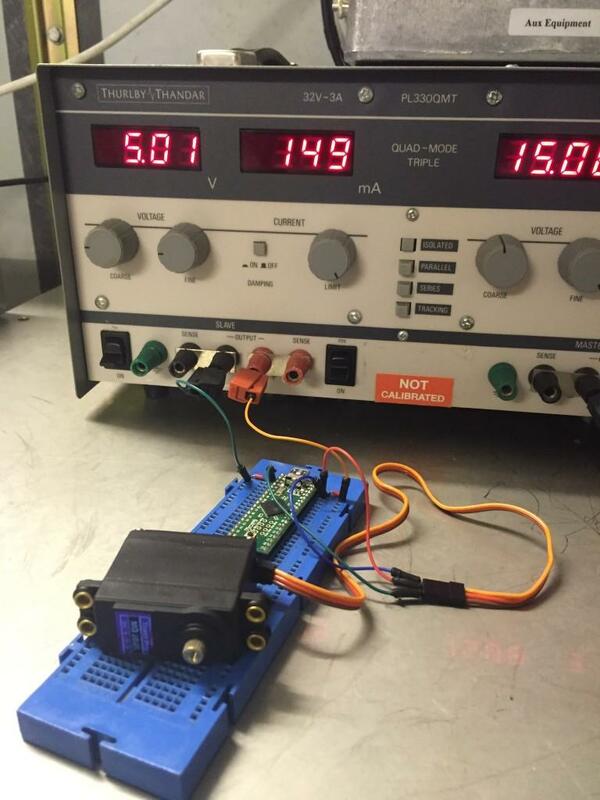 Graph 2 – Battery Pack powering the Teensy – No servo present. Along with the information from graph 1. Graph 2 allows us to see what noise is caused by the teensy and the battery pack. There is a a small amount of noise. This is due to the switch mode power supply in the battery pack. (And why switch mode power supplies will never be 100% efficient). 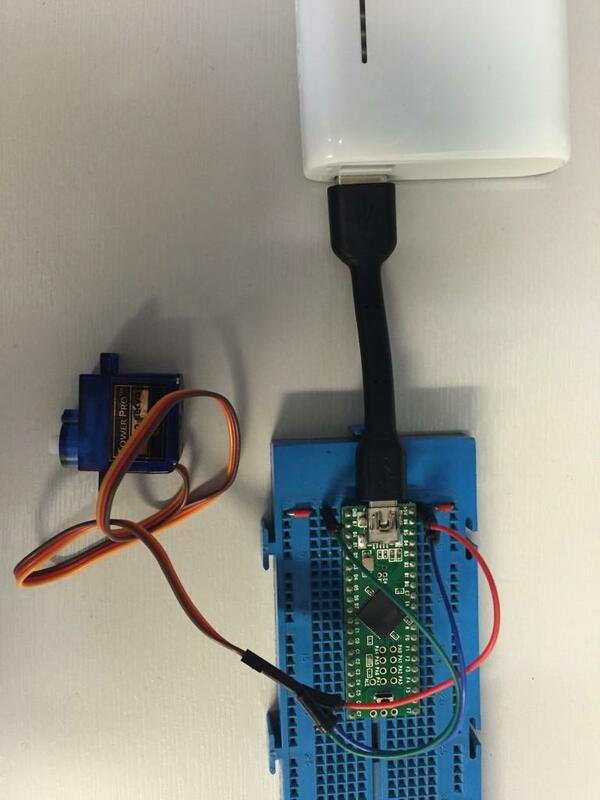 Here you can see additional noise due to the operation of the micro servos motor. There some peaks above the class B line. Quasi and average peak analysis of the data shown in graph 3 gave results within the limit set by the standard, as such despite the line readings crossing the class B limit line all emissions recorded were within the limit set by BS EN 61000-6-3:2007. This servo, the MG996R draws too much current and causes the teensy to restart (according to the MG996R Datasheet about 500 mA is the normal current draw) . 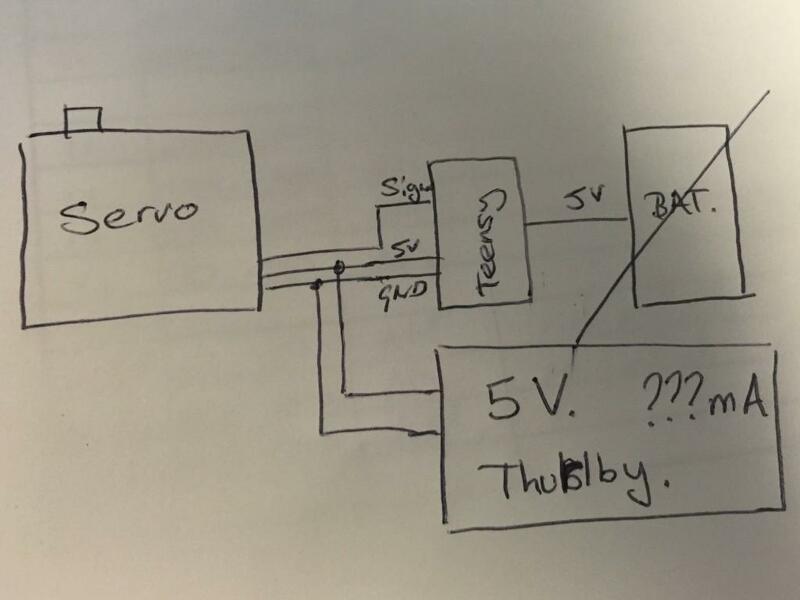 By attaching the setup to our Thurlby power supply we can see that the average draw is 149 – 200 mA (current limiting the Thurlby to 500 mA causes the Teensy to reset) the peak current draw is higher. As you can see the line is much more continuous on this scan, and I have asked the spectrum analyser to do point Quasi and average peak analysis of the recorded data, despite the line readings crossing the class B limit line all emissions recorded were within the limit set by BS EN 61000-6-3:2007. 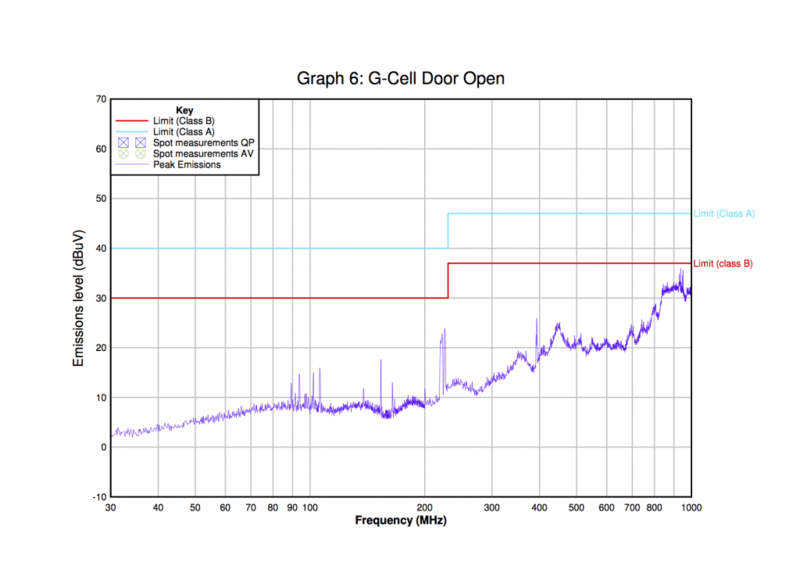 Graph 5 – Measurement System, measuring the G-Cell with the Door Open. 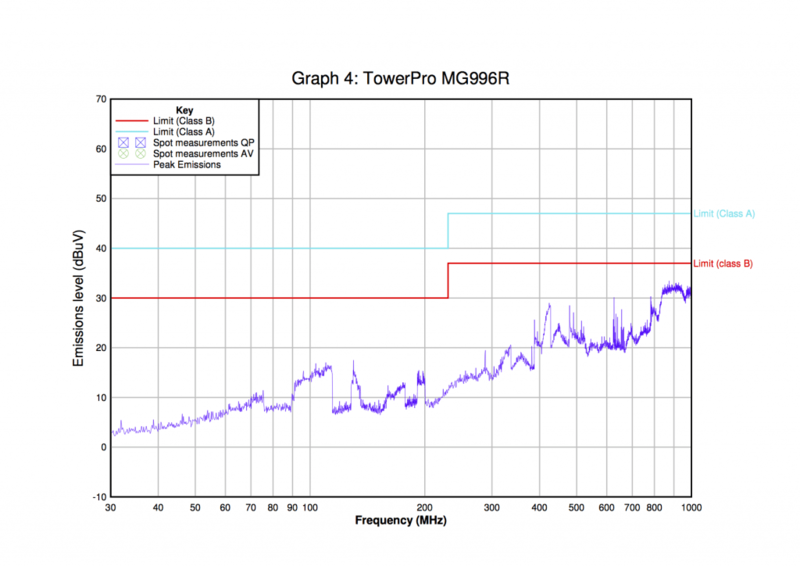 The area around work is not particularly noisy but you can still make out peaks due to commercial radio, mobile phones, and other sources of radio interference. 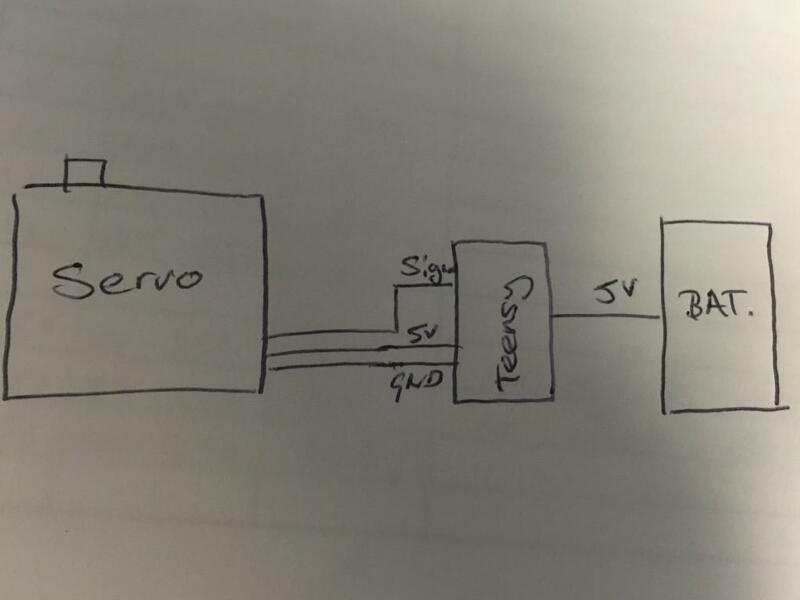 This blog post relates to the two example servos I have used, and can not be used to certify any other servos, or as a biases of compliance for any other set up. The servos both comply with residential emissions. If they had exceeded the threshold I would have tried the above to bring them within the limits. I think if you load servos with some force it will change the game, in practice every servo has to overcome some load. Yes, but as I stated, this is indicative only. 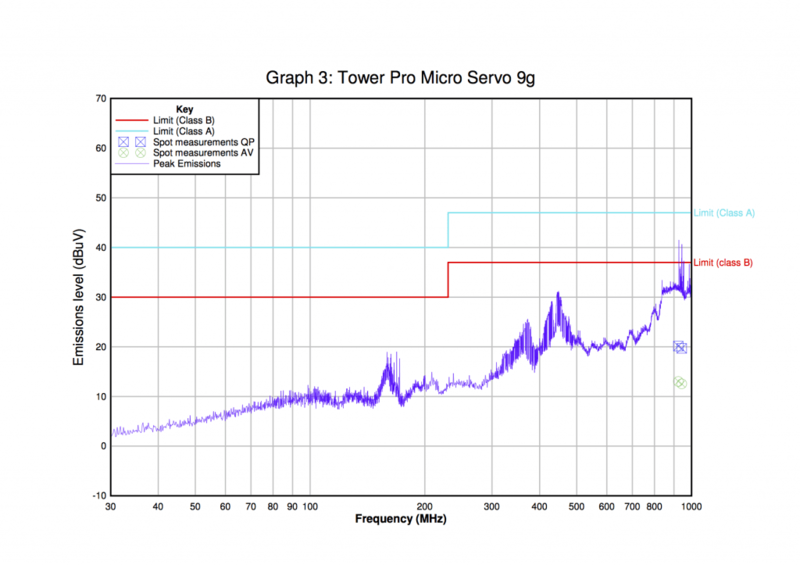 Next post How electrically noisy are Servo motors Pt 2?